Summary and Definition: The Wintun tribe (aka Wetu) were a California tribe of Native American Indians who were hunters and fishers. The Wintun tribe inhabited North California in the northern part of the Sacramento Valley, from the Sacramento River to the Coast Range. Fur trapper and trader Jedediah Smith made the first contact with the tribe in 1826. The California gold rush brought gold rush settlers to the region and the demise of the Wintun people. What was the lifestyle and culture of the Wintun tribe? The Wintun is the name given to three groups of related Native American tribes who lived in North California, including the Wintu (northern), Nomlaki (central), and Patwin (southern) tribes. 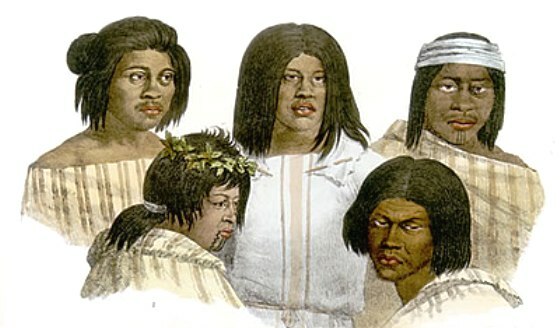 Their name derives from 'wintuh', meaning person, which the people called themselves. They were neighbors to the Yana tribe, with whom they were frequently traded. The Wintun fished for salmon along the McCloud and Sacramento rivers. They also fished for Steelhead trout along the upper Trinity River. The opening of the California trail brought wagon trains of white settlers who invaded the Wintun lands. The discovery of gold in California increased the number interlopes and gold rush settlers inundated their Wintun homeland. The Wintun were fierce defenders of their diminishing lands but the numbers of their people swiftly diminished as they succumbed to European diseases such as measles, malaria, smallpox and influenza. The white settlers encroached their lands using forests to build fences and settlements. They also brought herds of cattle that ruined the land. Oak trees were cut down and acorns, a staple food of the Wintun, became very difficult to obtain. Conflicts arose between the gold rush settlers and the Wintun Native Indians which resulted in several massacres of Wintun people which culminated in the Wintoon War. Where did the Wintun tribe live? The Wintun are people of the California Native American cultural group. Wintun settlements were located along the upper Trinity River, along the Sacramento and McCloud rivers. The geography of the region in which they lived dictated the lifestyle and culture of the Wintun tribe. What did the Wintun tribe live in? Tule Mat Lodges: The Wintun tribe of California lived in shelters of dome-shaped shelters called Tule Mat Lodges. To build the tule houses, the Wintun men first created a circular willow framework. The size was about 7 - 10 feet in diameter and about 7 feet high. The women harvested the long green stems of tule which were dried over several weeks. After the grass had dried, the women weaved and sewed the tule rushes into rectangular mats about 2 feet wide. The mats were sewn together with dogbane (Indian hemp) and tied to the willow frame. An opening in the roof created a smoke hole. The doors of the Wintun tule mat lodges always faced towards the east and were built in sight of water. What language did the Wintun tribe speak? The members of the Wintun tribe spoke in the Penutian language. What food did the Wintun tribe eat? The food that the Wintun tribe ate included salmon, trout, small birds and game. A staple food of the Maidu were the acorns from the different species of oak trees that provided an abundance of these nuts. The acorns were gathered then soaked in water, or left until they turned black, in order to remove the taste of bitter tannic acid. The acorns were then roasted and eaten whole or ground into acorn meal which was used to make a type of bread. The Wintun hunters supplied meat from deer (venison) and small game such as quail, geese, duck, rabbit and small rodents. Their diet was supplements by eating fruits, seeds, nuts, bulbs and roots. Insects such as crickets, grasshoppers, caterpillars and locusts were baked when fresh meat was scarce. What weapons did the Wintun use? The weapons made by the Wintun included the use of Obsidian that was abundant throughout the Wintun territory and was used to make arrowheads, spear points, knives, and various tools and scrapers. The Wintun used a form of body armor made from hard elk hide and slender sticks wrapped together and worn by the warriors. The enemies of the Wintun were the Shasta, Klamath and Modoc tribes. What clothes did the Wintun men wear? The clothes worn by the Wintun men varied according to the seasons. During the hot summer months the men wore a breech cloth or simply went naked. In the winter months warm clothing was needed and their winter clothes were made from the hides of animals such as deer (buckskin), elk, squirrel, rabbit and wildcats. The Wintun clothing and garments included fur robes and cloaks, shirts, wrap-around kilts, mitts and leggings that were often decorated with fringes. They wore one-piece moccasins with a front seam whilst hunting or traveling, but went barefoot in the warmer weather. What clothes did the Wintun women wear? The clothes worn by the Wintun women included blouses and front and back aprons made of shredded willow bark. Their dress fell to calf length and were belted and fringed. Special clothes were strung with ornaments, tassels and porcupine quills. Twined tule sandals or moccasins covered their feet in the winter and they wore fur robes to keep out the cold. Wintun History Timeline: What happened to the Wintun tribe? The following Wintun history timeline details facts, dates and famous landmarks of the people. The Wintun timeline explains what happened to the people of their tribe.